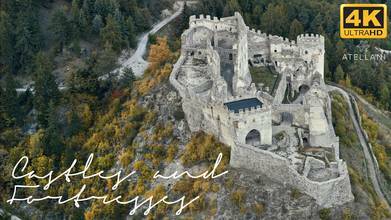 If you love aerial videos of ancient castles, you absolutely must watch this high-definition piece by electriclife. With hundreds of castles dotting the landscape of the former home of the Roman Empire, this video is just a sampling of some of the best of the best when it comes to castles and stately manors. Description: Castle & Fortresses of Italy. A collection of cinematic aerial drone clips of some of the best looking hidden treasures of Italy. From Trentino, to Valle d'Aosta, from Piemonte to South Tyrol, enjoy Italy's best hidden secrets.